Add flair to your outdoor lighting decorations! Perfect to hang on your deck, patio, or porch for festive occassions. 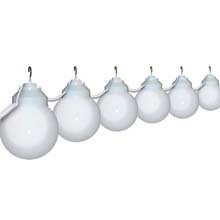 Coiled cords allows adjustable spacing up to 30 inches between globes. 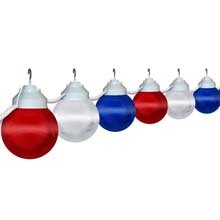 Includes 20-ft. power cord and hanging hooks for easy installation. UL-approved for use with up to 40-watt bulbs (not included). 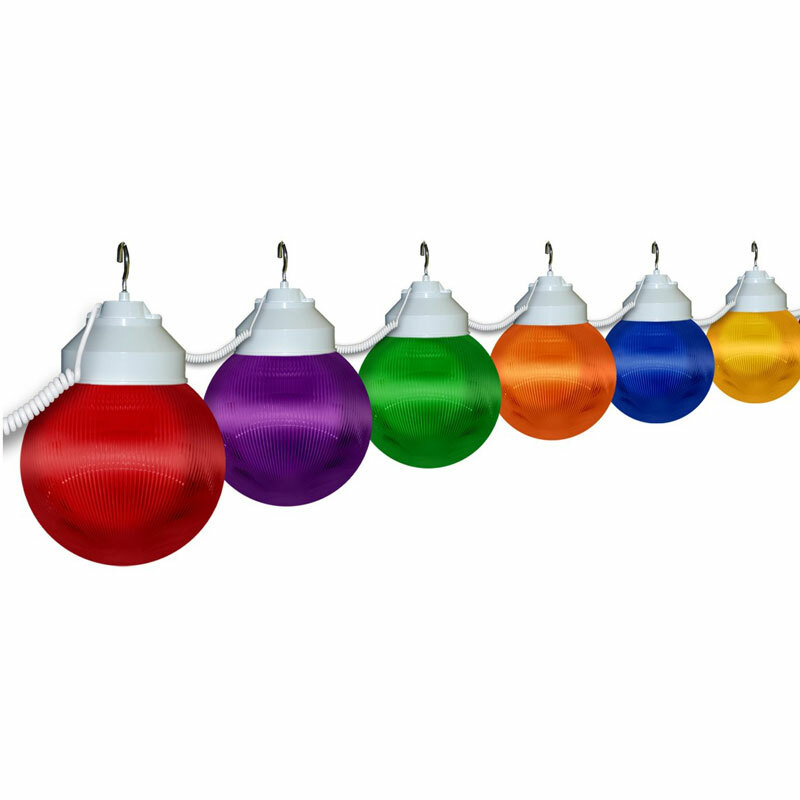 This globe light set features polycarbonate housing. 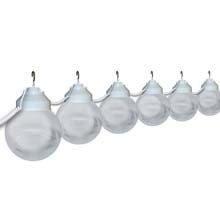 Polycarbonate is shatter resistant, making these string lights perfect for outdoor applications. 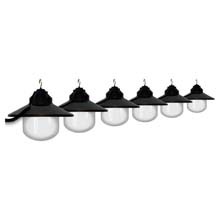 The light set is also UL/cUL approved and is the weather-resistant choice in outdoor lighting.